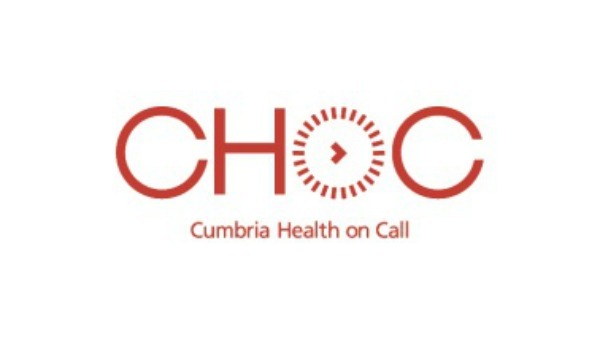 CHoC (Cumbria Health on Call) is a not for profit organisation serving patients and visitors to the whole of Cumbria which equates to 499,900 population. Cumbria Health on Call also cover a population of approximately 7,000 patients in North Yorkshire and 2,268 square miles in total. The two main population areas are Carlisle and Barrow with a spread of population across the county. 51% of the population live in rural communities. Cumbria has 24 specific communities that are in the 10% most deprived in England and Wales, of which seven are in the worst 3%.CHoC has a team of salaried and sessional GPs, triage nurses and nurse practitioners. The service covers seven locations across the county. CHoC are co-located next to A&E Departments and various primary care facilities within community hospitals. There are twelve fully equipped vehicles on the road to meet the challenges of providing care to a rural community and also a remote prison. CHoC provide step up, step down care to ten community hospitals and two Community wards within the Acute Trust setting. CHoC also run a successful GPR programme, investing in five days training per year to equip GPRs to work solo during the OOH period. Investment in training to deliver clinical pathways, i.e. DVT pathway has saved the Cumbria health economy consistently over the last four years. A rolling training programme is in place for all clinical staff which includes Telephone Consultancy, Safeguarding to Level 3, BLS and also refresher days for all clinicians. Over the past 18 months CHoC has developed further and begun to implement day time services in order to benefit the population of Cumbria. 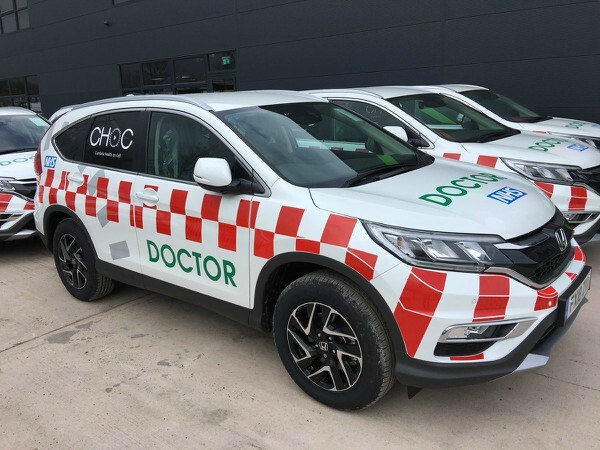 CHoC run a successful Cardiology clinic on a fortnightly basis in the North of the County. The clinic is led by a Consultant Cardiologist alongside two GPSWI’s, who are training in a Diploma for Cardiology. Referrals are currently being accepting from the Eden and Carlisle localities. Patient satisfaction survey results are showing and reporting very positive results. CHoC also operate a day time home visiting services and residential home visiting services within Furness Locality. This service is in its infancy at the moment, initial reports show that it is running effectively and being received positively by the primary care community. We provide out of hours and in hours primary health care to the population of Cumbria. Approximately 140,000 people access the CHoC service each year. As an OOH organisation we are open to all communities and try to ensure that we are as accessible as we can possibly be. In October 2015, 111 became the main point of contact for patients in the out of hours period in Cumbria, to ensure that vulnerable groups were not disadvantaged by this change in service (this took place on national level) we implemented a separate number specifically designed to take direct calls from vulnerable patient groups to ensure that they continued to receive fast access to primary medical services when they need it. We serve the whole population of Cumbria (500,000 approx) plus all tourists and visitors to the county each year. CHoC operates from 8 sites (listed above) we have a head office, 6 out of hours clinical sites and a day time general practice. We measure the benefit of our service through patient feedback. We have a live site available at https://www.iwantgreatcare.org/. This a public facing website open to all, all reviews are published.